As far as U.S. alfalfa hay exports are concerned, China has been the big story. Shipments to that country have risen from 177,000 metric tons (MT) in 2011 to over 1 million MT in 2016. So what country will be the next big global importer of alfalfa? Look to Saudi Arabia, said Dan Putnam in a recent Alfalfa & Forage News blog. The University of California-Davis extension forage specialist points to the Saudi government’s recent effort to conserve its water resources as the driving factor in that country’s future hay imports taking an exponential hike. At the same time Saudi water reserves are depleting, the dairy industry is growing. The Saudi Almarai Dairy is one of the largest in the world and milks close to 100,000 cows housed at various locations. The need for hay, and alfalfa specifically, to fuel the dairy industry is readily apparent. The Almarai Dairy already owns land in Arizona and California where they produce alfalfa and ship it back to Saudi Arabia. They also maintain hay production operations in several other countries. Putnam shared that a recent USDA Foreign Agricultural Service report estimates that Saudi Arabia may need to import 1.2 million MT of high-quality alfalfa hay by 2018. That amount would be more than what was imported from the U.S. by China in 2016. Not all of the Saudi’s alfalfa import needs will be met by the United States. Putnam explained that the U.S. holds an advantage from the standpoint of the quality of alfalfa that can be grown in drier regions and in terms of infrastructure, transportation, and political stability compared to many other countries. 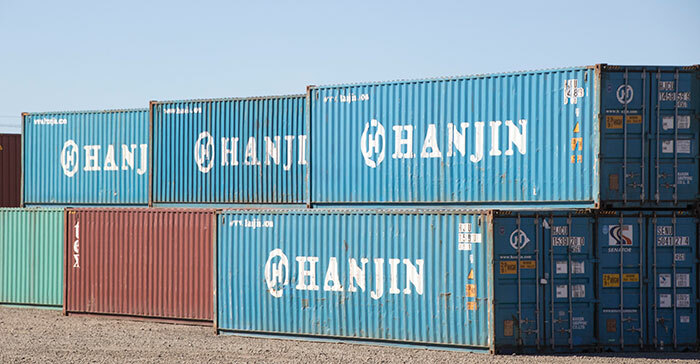 Our greatest disadvantage is the distance that product needs to be shipped from U.S. ports. 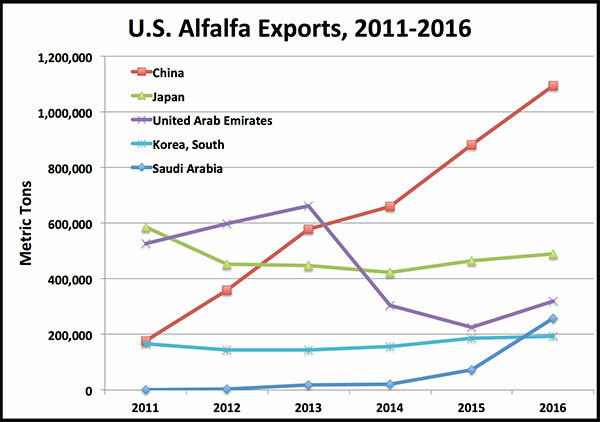 China also offers a major and growing competing market for U.S. alfalfa exports. In 2016, the U.S. supplied over 250,000 MT of alfalfa to Saudi Arabia. The next largest exporter to the country was Spain, which provided 100,000 MT.